A very well presented, two double bedroom terraced cottage conveniently located within a quiet residential road just off Esher’s cosmopolitan High street. Featuring a large kitchen and dining room with doors directly onto a lovely south facing rear garden. The delightful property has been recently refurbished to include a new luxury appointed bathroom, polished wood flooring, new double glazed sash windows with plantation shutters, new carpets and neutral decor throughout. 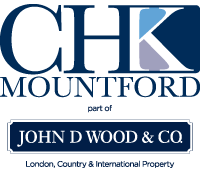 CHK Mountford is a trading name of Countrywide Residential Lettings Limited, Registered Office Greenwood House, 1st Floor, 91-99 New London Road, Chelmsford, Essex, CM2 0PP. Registered in England Number 02995024 which is an agent and subsidiary of Countrywide Estate Agents, Registered Office Greenwood House, 1st Floor, 91 -99 New London Road,Chelmsford, Essex, CM2 0PP. Registered in England Number 789476.Countrywide Residential Lettings Limited is regulated by RICS. Countrywide Estate Agents an appointed representative of Countrywide Principal Services Limited which is authorised and regulated by the Financial Conduct Authority. We have listed below some important and useful information upon finding your new property with CHK Mountford. Whilst searching for your new home is both exciting and extremely rewarding it can often be time-consuming and perhaps difficult to coordinate within your own busy work schedule. We at CHK Mountford aim to make your search as easy as possible by being as accommodating as possible to meet your viewing times and at the same time, assure you that our company policy is always to offer the best and highest quality property. CHK Mountford’s Landlord clients come to us as we have an unrivalled reputation for our high level of service and in turn this allows us to offer you an excellent selection of property from small commuter apartments to magnificent Country homes throughout Surrey. Once you have found a new home and before you have paid over a payment of intent we will have explained our reference procedure and brought to your attention all the costs associated with your rental. At the same time, will have explained the basis of the Tenancy Agreement to you. It’s always a good idea to ask as many questions as possible at this point to eliminate any possible misunderstanding at a future date. Once we have agreed any terms with you and a date has been proposed for the move in we will ask you to pay a payment of intent. This shows your commitment to proceed with the rental of the property, subject to contract. Please note that this will be credited to the first month’s rental. However, this is non-refundable in the event that you do not proceed with the rental or are unable to provide satisfactory references. Before any tenancy is signed satisfactory references are required. Please ask our office for further details on the reference procedure. • TENANCY AGREEMENT: £330.00 inc vat for the preparation of the original Agreement. • ADMINSTRATION FEE: £60.00 inc vat per person. For the preparation, processing and archiving of other documents relating to the Tenancy. Right to rent – Checking identity, immigration and visa confirmation. Contract negotiation - Agreeing terms and ensuring conditions are met. Administration – Coordination of move in. • REFERENCE FEE: £78.00 inc vat per person for a third party reference check. • If a guarantor is required then a further administration charge of £162.00 inc vat is required. • If, after terms have been agreed, further alterations have to be made to the Tenancy agreement then an administration charge of £72.00 inc vat is applicable. property or if there are particularly high value items on the premises. This deposit is held as stakeholder by CHK Mountford in a bonded client account and is registered with the Tenancy Deposit Scheme (TDS). This is returned at the end of the Tenancy once agreement has been obtained from both parties in writing after the check-out procedure. INVENTORY SERVICE: There is a charge applicable for the inventory service. The ‘check out service’ fee will be stated on your tenancy agreement. Due to the variances of each property we can only give a guide at this stage however, an exact cost can be given for a specific property upon request. RENEWALS: If you and the Landlord decide to renew your tenancy there will be a further administration fee of £180.00 inc vat. MOVE IN PAYMENTS: All payments can be made by bank transfer (BACS or CHAPS), credit or debit card. RENTAL PAYMENTS: All rents to be paid by a standing order mandate directly to either our Company bank account or Landlords bank account, whichever is applicable. Please note that an administration charge of £30.00 inc vat will be levied if notice has to be sent regarding a late rent payment. Landlords will have insurance in place for their own possession and the building itself however, this will not cover your own items. Please ensure you have adequate contents insurance cover in place for the start of your new tenancy. * For a complete list of our Rent Collection service please refer to our landlord's guide. * For a complete list of our Managed service please refer to our landlord's guide. Pre-let Package: An arrangement charge of £66.00 (Inc VAT) will be levied on “Letting Only "and “Rent Collection” clients only if the said clients wish CHK Mountford to organise arrange and co-ordinate either or all following; the Inventory, Gas check, Energy Performance Certificate and the cleaning. There is a charge applicable for the inventory service. The ‘check-in’ service’ fee will be stated in your tenancy agreement. Due to the variances of each property we can only give a guide at this stage however, an exact cost can be given for a specific property upon request.